Billy Thompson is undoubtedly one of the finest men and musicians I have ever had the pleasure to know and work with. As for his life, this I know, he learned to play the guitar by the time he was nine and entertained the soldiers at Camp Barkeley during the war. Like all good American boys he finished high school and then took a job with "The Miller Brothers Band" and recorded with them on Four Star Records. He was featured vocalist and guitarist on six numbers which achieved for him much fame. Billy has worked very hard to become the vocalist and musician he is today. 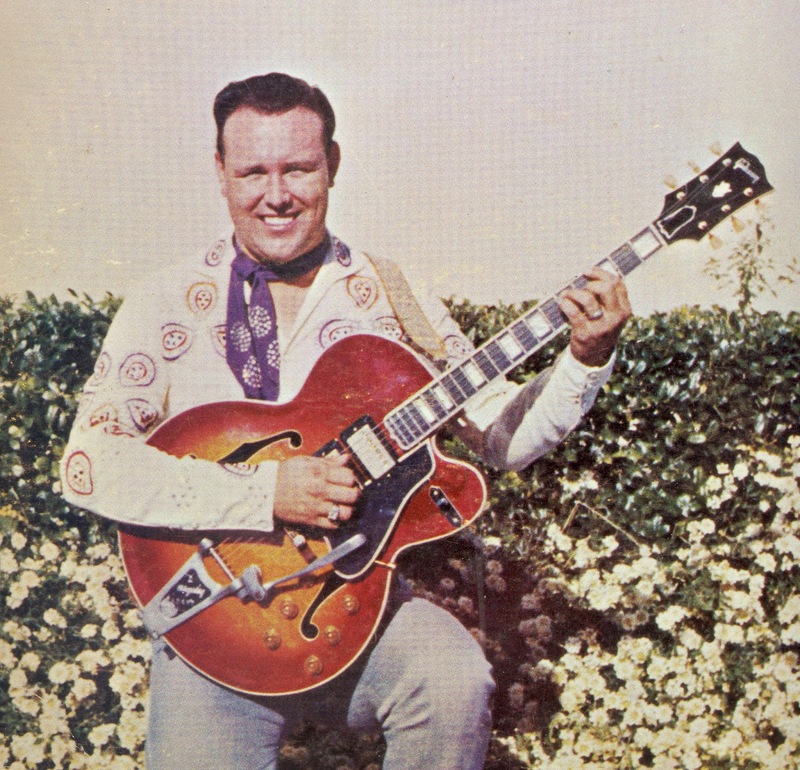 Leon Gibbs, manager of the Miller Brothers Band, instructed him in the art of being a successful bandleader. Billy attributes his success of today, to the training which he received from Leon and Sam Gibbs during the early years of his career. 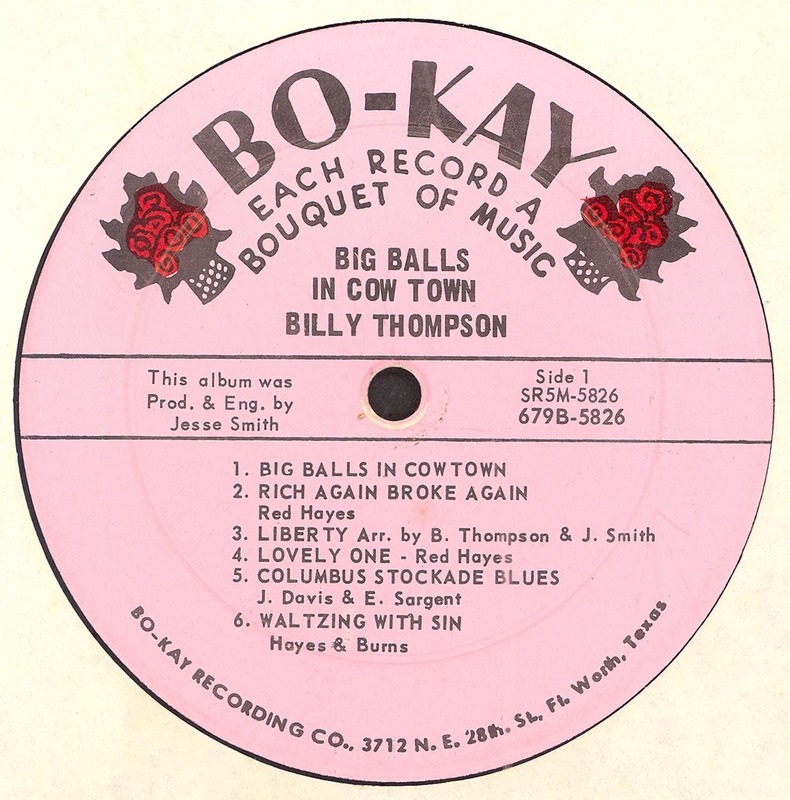 Billy left The Miller Brothers Band to organize his own group, ·"The Melody Cowboy" After organizing this group he recorded four I numbers for Bo-Kay Records, one of these numbers, "Waltzing With Sin," which achieved greater recognition for him, is included in this album. Billy and "The Melody Cowboys" appeared on such national shows as the Louisiana Hayride and Red Foley's "Ozark Jubilee." He and his band have also performed in nightspots like the Golden Nugget at Las Vegas, Nevada, and throughout the country. Billy also does a fine job as M.C., having trained as a D.J. on KOYL Radio in Odessa, Texas, under Ross Kelly and having made many, many personal appearances. For his good work in the music business he has been recognized by such great magazines as these: Bill Board, Cash Box, Country Music Review, Country Music World Year Book, and Who's Who in Country Music. 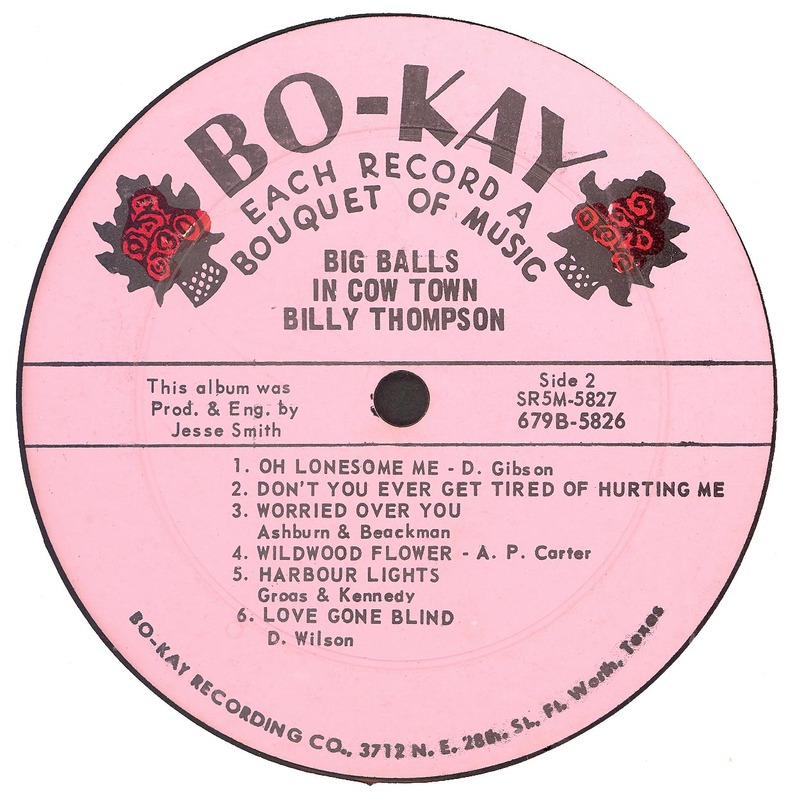 In 1962, Billy joined the Hank Thompson Band, which is rated as the Number One Band of the nation. Hank has encouraged Billy to record again and believes in featuring all of his men on personal appearances. When you see them work, you can't help feeling the spirit of good musicians and true showmanship that radiates from this group. Curtis Potter, a member of the band and top vocalist in his own right, sings all the harmony in this album.At the printing of this album, Billy is in Europe entertaining our service men. His love for Country Music and entertaining others, has prompted him to do and offer to you this album done in his own inimitable style. Billy is married to a lovely girl, Sue Thompson, and they have four wonderful boys: Tommy, Ricky, Charles and Terry. 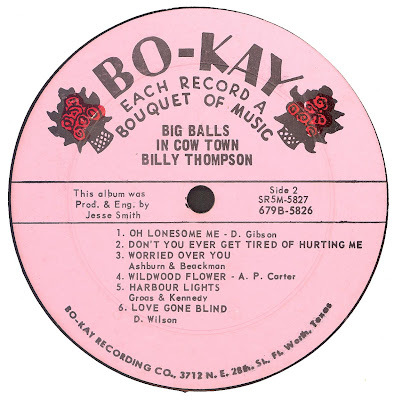 And I personally would like to say, for all the staff at the Bo-Kay Studios, it was a pleasure and a great honor to work with Billy Thompson and to have a part in presenting this great country Music Album to the public.